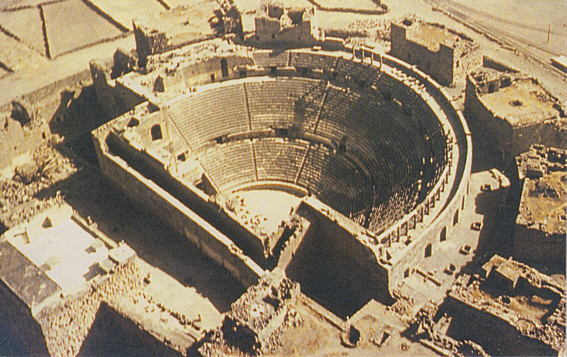 Ancient Roman Theatre, built in the 2nd century AD. 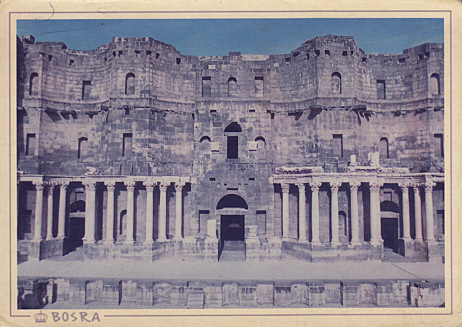 In Medieval times, converted to a citadel of the Ayyubid fortress of Bosra. 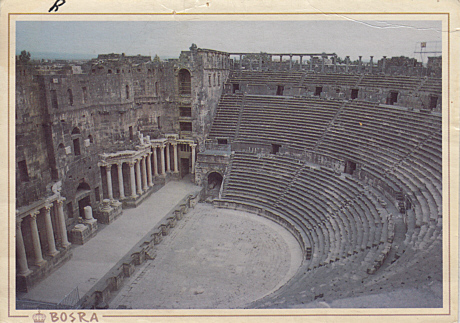 1947-1970 restorations. Ca. 15.000 seats.